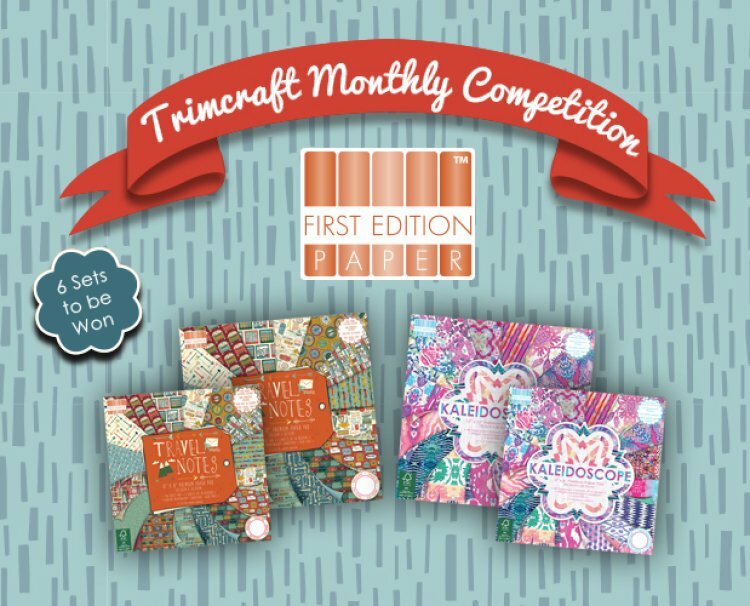 For August, we are offering 6 lucky crafters the chance to win the First Edition Kaleidoscope and Travel Notes 12” x 12” and 8” x 8” premium paper pads. A great prize to add to your craft stash! Create on trend crafty projects with the First Edition Kaleidoscope paper pads, featuring a colourful array of enchanting bohemian patterns; you will love making striking papercraft designs with these papers! Enjoy crafting with the First Edition Travel Notes paper pads. Designed by Jessica Hogarth, this collection captures the sense of fun in adventure with its globetrotting inspired illustrations & playful repeat patterns. All you have to do is log in and click the enter button above. The deadline for this competition is Monday 31st August at 12pm.